We recently visited Matt and Nicole at Specialty Pleaters in Williamstown, Melbourne for a chat and to check out the work they do. Tell us a little bit about yourselves and the history of Specialty Pleaters. 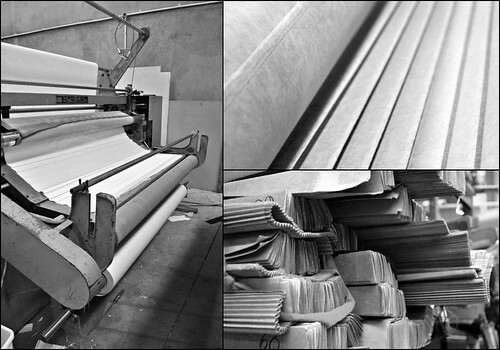 Specialty Pleaters is Australia's oldest pleating company still in operation dating back to 1930. 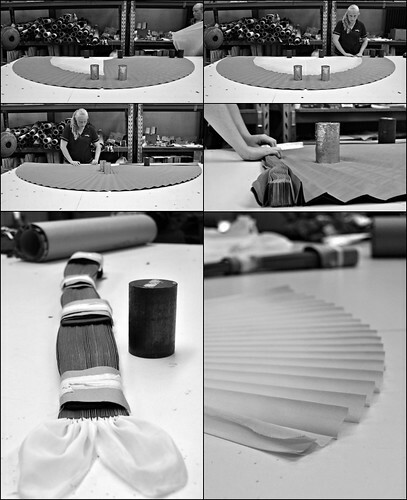 At Specialty Pleaters, unlike other pleating companies, we cater for every customer from the high end fashion labels to the home hobbyist who needs just one metre pleated. We also are open to working with our customers to produce pleating to fit in with their needs, not vice versa. Give us a rundown of a day in your workshop. A typical day at Specialty Pleaters involves doing production work that has been sent in previously, either by machine work or intricate pattern work by hand. We're also answering phone calls and liaising with customers. During the 1990's the Textile and Clothing Industry started to see the effect of clothing manufactures moving offshore for cheaper labour and when the GFC came, any company that wasn't thinking about going overseas surely was after this event, which in some way has been a win for our local fashion students as now we can afford to devote more time into helping and promoting our backyard stars. 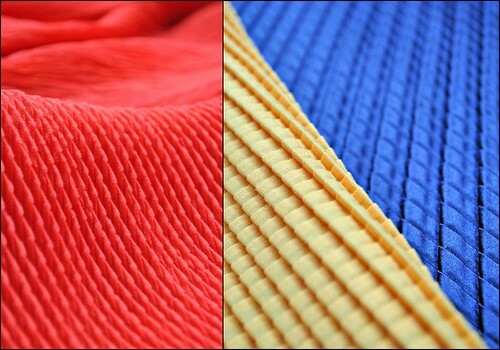 Which kinds of pleats do you produce? The amount of pleats that can be done at Specialty Pleaters are endless, but the main styles are Knife Pleat, Box Pleat and Accordion pleat. From these three pleating styles hundreds of different styles can be achieved, i.e. 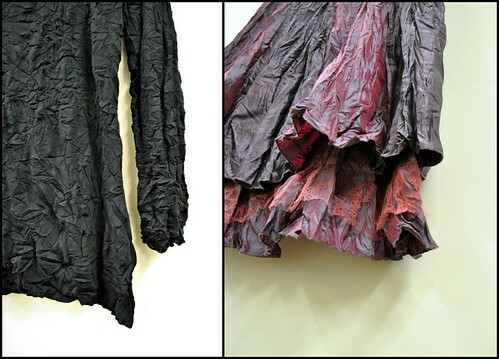 Treebark, bamboo, two way pleats, triple pleats....etc. 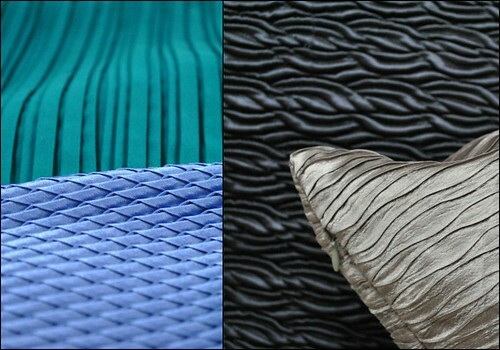 Can you describe the process of pleating fabric? Generally speaking material is either put into a hand pattern that has been purposely folded to form a shape or it goes through a machine. It then goes into a high temperature steam oven to cure or 'cook' the material to help keep it in shape. Quite often we see the delight in our customers faces when they come to pick up their pleating and and when they first lay eyes on the pleated fabric it is priceless. 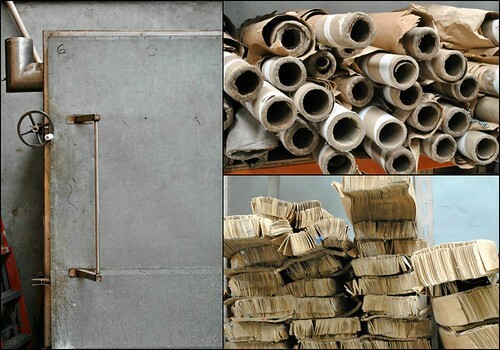 As mentioned in an earlier question, the clothing and textile industry has taken a fair wack over the years losing production to China and India and in recent times even Vietnam and Cambodia. The industry will never get back to the once lofty heights that I saw pre 1990 but as each year goes by we are hearing of the quality concerns coming out of China and along with the rising economy we may see some manufactures slowly start coming back to Australia, especially if the government will do the right thing by the industry and raise import tariffs on clothing. If you'd like to know more about pleating at Specialty Pleaters you can check out their FAQ page for more details and Like them on Facebook to keep up to date with the work they are doing. Specialty Pleaters have kindly offered all our readers a massive 25% off when you mention Handmaker's Factory! What are you waiting for? !